After posting the game that went bad ( see “Lucena” post ), I decided to post something good :). Here is the recent online correspondence game, played mostly “real-time”. 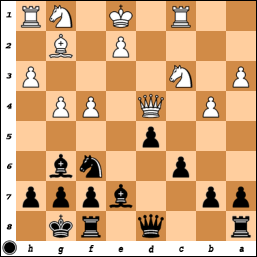 After 14. f4 I looked at the different ways of saving the bishop, didn’t like h6, etc.. and decided to sacrifice a pawn by playing 14. … Be4. 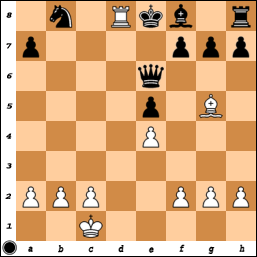 Here white took the pawn, it proved to be wrong. 18. Qxe4 Re8 19. Qg2 Qd2 20. Rb1 Rad8 (with the threat Qd1+). 21. Qf3 Re3! 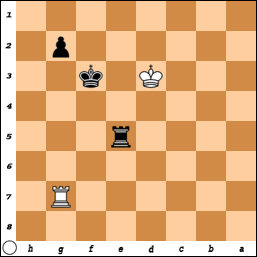 White resigned ( 22. Qg2 Qd1+ 23. 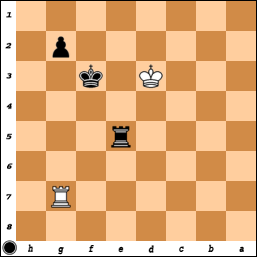 Rxd1 Rxd1#, so white has to give up the Queen). After the game I realized that final mating position reminds me the mate from the famous Morhy’s game at the Paris Opera with Duke Karl/Count Isouard. Many years ago I read a book about Paul Morphy, adored him and memorized a few games, including that one. Interesting, was it somewhere in my mind when I was playing this game? There is an expression in Russian – “Tishe edesh’ – dal’she budesh’ “, literally – “going slower will get you further”, or similar expression in English – “slow and steady wins the race”. I am restructuring my chess training lately. It involves not playing online “real-time” games after midnight ( it automatically decreases their number quite essentually), studying endgames, etc. The new element I introduced is online correspondence chess. I never played before any correspondence games and always was sceptical about it. But realization that I need to play more slow games forced me to find some solution. I can’t play more OTB games than I play now, so I decided to try online correspondence on one free server. You can play several games at once, time limit is 1, 3, … days per move and you can use opening databases, game explorers, books, but not chess engines or somebody’s help. The first unexpected thing was that initial rating is very low and unlike in usual online chess you can’t quickly raise it, so you have to play with low rated opponents. The good thing is that as I found, people do more than one move per day. I already won one game and plan to win more to get to the more appropriate rating and opponents! soon enough. It’s funny, I do not remember blitz games I played yesterday, but I do remember most of the game I won, even there was nothing special at all. 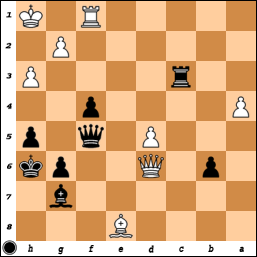 I remember most of the 4 games going on right now – 2 Spanish ( Ruy Lopez ) as black and Scandinavian and Alekhine as white. I can even think during the day about the next moves ( very roughly, though ). 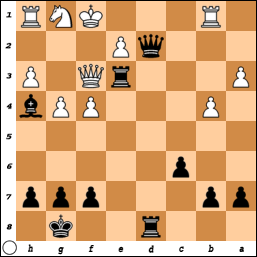 I hope my openings and my endgame technique will get a boost, as I look for the best moves in opening and for similar endgames as well, having one day per move. Probably I can increase twice the number of the games, not sure if I want that, definitely no more than that. I’ll see how it will go, hopefully I am not setting my expectations too high. On Sunday I played an OTB game in my club. The guy was rated ~250 lower than me, said “wow” learning about my rating, but didn’t hesitate at the board at all. He pressed pretty well playing white Giuoco Piano (Italian game), I had to defend most of the time and finally it went into the drawn R+2p vs. R+2p endgame. Suddenly (he told me later that he thought he has an advantage and played for win) he made a mistake allowing me to activate my rook, so finally I got R+P vs. R. After suffering a terrible loss in summer in the endgame R+Ps vs. R+Ps I learned Lucena and Philidor positions. I got Lucena only once ( out of ~3000 games online) before that and I drew it. So, now I get an excellent chance to demonstrate my knowledge. OK, I carefuly move the bishop pawn with the king, all games were finished and a few people are watching. Here I am, proud of myself, doing all by the book and reaching the position, where my nice bridge is almost built. There is “still” about 5 minutes on the clock. Instead of checking my king and allowing me to finish my bridge ( Rf7+ Kg4 Rg7+ Rg5 ) he suddenly plays Kd2-d3. I was humiliated, I came home and felt sick. The worst draw I ever had. I spoiled my Lucena. I think I was concentrated too much on the “bridge” part of the board and forgot about the pawn. Maybe time was the factor too, having let’s say 20 minutes I would probably see it. Also, simple things like this I see OK in the middlegame having a little time (pattern recognition), but this is an endgame pattern (with the king), there are no such positions in the middlegame. So, somehow I should get that experience of playing endgames. And of course, I should study them, this game was a pretty convincing argument. 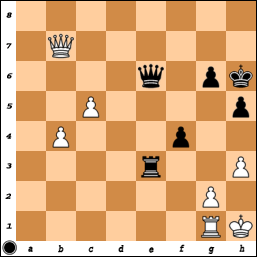 Destructive sacrifice – “sacrificing material to destroy the pawn cover or other protection around the enemy king. Usually a point of no return.” (dictionary). Many of us are familiar with the bishop sacrifices – Bxh2/h7/h3/h6/… etc. 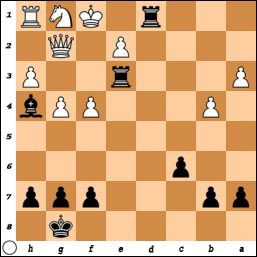 Rook sacrifice is a bit less common, maybe because it takes time and effort to get the rook into the striking position. The first example is from my online game. 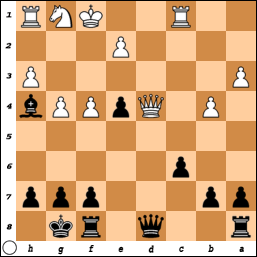 My time was running out, and after I made move Qd6-e6, I had 7 seconds left. Luckily for me, my opponent didn’t suspect anything and played c4-c5. After Rxh3+, gxh3, Qxh3# I still had a few seconds. Second, more complicated example is also from my online game. 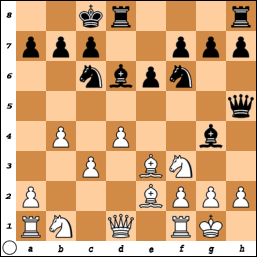 Frankly it was a blitz game and I saw just a first few moves, it looked bad enough for white, so I went for it, then found the rest. 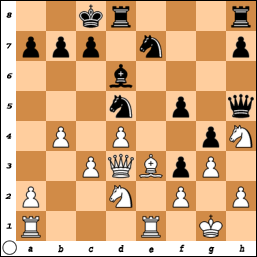 Mate in 8 – can you see and calculate it (if not, see the comment)?